If we look at the UN definition of genocide and at Israeli policies over the last 70 years in Palestine, the similarities are striking. A well-thought-out worldwide campaign has to put an end to this, says Israeli human rights activist Miko Peled. 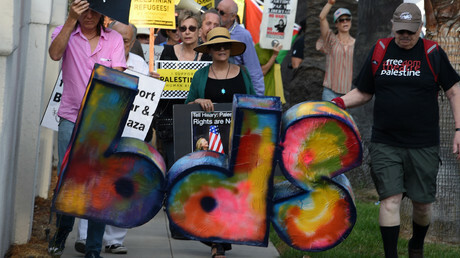 At an annual American Israel Public Affairs Committee (AIPAC) conference in Washington, Israeli Prime Minister Benjamin Netanyahu mentioned BDS by name 18 times and called it ‘a top threat’. Chris Hedges, the host of ‘On Contact’ show on RT discussed the Boycott, Divestment and Sanctions Movement with Israeli human rights activist Miko Peled. RT: The Boycott, Divestment and Sanction Movement was established in 2005. Perhaps, it has potential to be the most effective movement. Could you explain what it is, how it started and its spread, especially now, in Europe and in the United States? Miko Peled: We need to start with the premise that not everybody accepts, which is that the Palestinians have a right to resist. The issue of resistance is somehow always left out of the conversation. Under international law they do have a right. But somehow when we talk about Palestinians, I think the word resistance gives some kind of legitimacy to their struggle. And therefore it is never part of the conversation: they can be victims, they can be terrorists. But that’s kind of it. 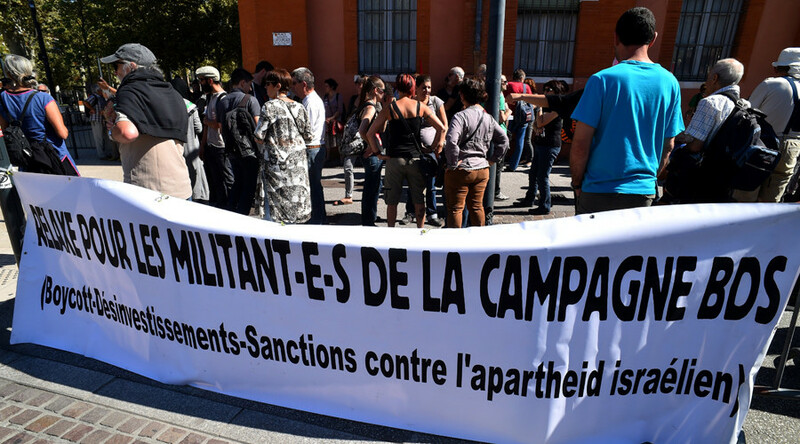 I think what BDS has done among many things - is to have brought the issue of resistance to the forefront because it is very legitimate, it reminds us of the struggle against apartheid in South Africa. RT: Could you layout what does Boycott, Divestment and Sanctions mean? MP: The call Boycott, Divestment and Sanctions, to begin with, came out, which I think is an important point, from Palestinian civil society. Perhaps, the largest coalition of individuals and organizations from within Palestine came out with a call…for the world to support Palestine through imposing boycotts, divesting from and imposing sanctions on the State of Israel, against using the South African model. I think it captured people's imagination; it reminded people of this struggle against apartheid in South Africa. It is very dedicated and it's kind of the latest attempt of the Palestinian resistance. But it has a legitimacy that I think previous examples of the resistance didn't have. And I think, which is why it's being so successful and why it's being able to maintain itself. RT: It has been quite successful in institutions such as the Presbyterian Church that I come out of, that supported it, very effective in Europe. Talk a little bit about what it has achieved. I think it's important to also make a point that if we take a look at the United Nations definition of genocide and if we take a look at Israeli policies over the last 70 years in Palestine, the similarities are striking. It is almost point for point. We're talking about how and why this is happening, why there is a call to boycott Israel and why the BDS movement is making so much sense because something has to be done on a worldwide scale. It is not something that you can put a little bomb here or there. It is not that kind of thing. It requires a much more comprehensive, a well-planned, well-thought-out campaign and that's what BDS is. The campaign has to fit the crime and of course the crime of genocide and the crimes of Israel against the Palestinians are so severe that it requires a serious campaign to bring this reality that exists there to an end and allow people to start something new and replace it with something better.